"Not only does A Global History of Architecture own the territory (of world architecture), it pulls off this audacious task with panache, intelligence, and--for the most part--grace." Meets the requirements set by the National Architectural Accrediting Board (NAAB) for "non-Western" architecture in history education. Offers new connections to a companion Web site, including Google EarthTM coordinates for ease of finding sites. Francis D.K. Ching is Professor Emeritus of Architecture at the University of Washington. 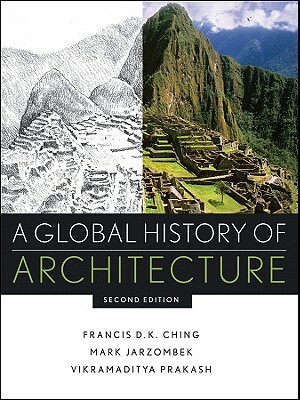 He is the author of numerous architecture and design books, including Architectural Graphics; Architecture: Form, Space, and Order; A Visual Dictionary of Architecture; Interior Design Illustrated; and Building Construction Illustrated, all from Wiley. Mark Jarzombek is Associate Dean of the School of Architecture and Planning and Professor of the History and Theory of Architecture at MIT, as well as author of several books. Vikramaditya Prakash is Professor of Architecture at the University of Washington and the author of several academic publications.